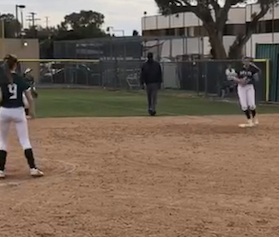 LA MESA (3-6-2019) – Helix High’s quest to match its best start to a softball season since 2016 crumbled Tuesday (Mar. 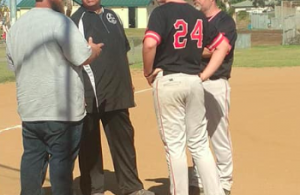 5), when visiting Mar Vista rallying with a pair of runs in the seventh innings to top the Scotties, 5-4, in a Gold & Silver Classic pool-play contest. The battle between unbeaten tilted both ways until the Highlanders scored twice in the 6th to grab a 4-3 lead in support of starting pitcher Zoe Kuhlken (5+ IP, 1 R, 5 H, 4 K). She allowed a run in the 5th, snapping a streak of 17 consecutive scoreless innings of Helix pitchers. However, the Mariners (3-0) answered with a pair of late runs against the bullpen to reclaim the lead, then Mar Vista pitcher Abigail Rivera retired Helix in order in the 7th to cap her complete-game victory. Rivera struck out 8 and allowed 8 hits. Down 3-2, the Scotties started the comeback when Isabella Bordine was struck by a pitch. Courtesy runner Lizette Bernardino followed with a sacrifice bunt but beat the throw to first base for, instead, an infield single, with Bernardino moving to third, then scored the game-tying run on a wild pitch. Then with two outs, Camryn Jonilonis drilled a liner that sneaked under the right fielder’s glove to score Castro and give the Highlanders a 4-3 lead. Despite the swing in momentum, the Mariners, which once trailed 2-0, came back one more time. In the 7th, Emily Leslie drew a lead walk, then Erika Sanchez singled to deep center to place runners on the corners. Ryleigh Titilah put down a bunt to score Leslie to again tie the ballgame, then Rivera gave herself the lead on a deep, high fly ball to right-center field that was misplayed and dropped between the defenders, as Sanchez easily scored what proved to be the winning run. Highlanders head coach Darren Emery lamented on the mental mistakes that proved critical in the close loss, while also acknowledging the fight his players showed against a skilled and deep Mariners lineup. Sophomore Nicole Hernandez (2-4) loaded the bases with a single, then with two outs, Isabella Bordine (1-2, 2 RBI HBP) smacked a sharp grounder up the middle, scoring Jonilonis and Perez for a 2-0 advantage. Mar Vista answered with three runs in the 6th. Leslie, the catcher, lined a single over the shortstop, Sanchez was hit by a pitch, and Jazmyne Gomez sacrificed both runners into scoring position. Titilah (2-4, 3B, 3 RBI) tied the game by lining a deep, 2-run triple to right field. One out later, Titilah would score on a passed ball, giving the Mariners a 3-2 lead. The Highlanders continue tournament play Thursday (Mar. 7), making a long trek to El Centro to meet Central Union High. SD-HIGH TECH 2, WEST HILLS 1: At the Cougar Classic in Escondido, Storm senior pitcher Chelsea Runyon made her start a good one. Albritton recorded six strikeouts and limited the Wolf Pack to just three base hits in leading SD-High Tech to victory in the opener for both ballclubs at Kit Carson Park. High Tech scored twice in the 1st, then made it hold up, as the Pack only managed a run in the 3rd. The contest went just four innings due to the tournament time limit rule.’ Hard-luck losing pitcher Emma Bentley of the Wolf Pack also allowed just three hits, but three errors led to a decisive unearned run. The lone West Hills run saw Bentley bloop a lead single to right field, then Mia Colabella reached after the ball was thrown away on her sacrifice bunt. as the ball deep into the right-field corner, allowing couresty runner Ta’lour Graham to score. The Pack had a chance to get even when a single by Dakotta Mershon placed runners on the corners, but Albritton escaped on a grounder to second base. The remaining Wolf Pack hit was a double by Sabrina Brown. For the Liberty Station based Storm, Rachel Warrens batted 1-for-2 and scored a run. 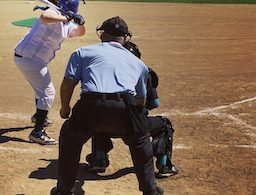 CANYON CREST 13, MONTE VISTA 1: The Monarchs saw their 2-game winning sreak snapped after a home-field loss to the Ravens in a 5-inning, run-rule shortened contest. Canyon Crest scored, respectfully, three, four and five runs over their first three trips to the plate, aided by 10 Monarchs errors. Meanwhile, Monte Vista (2-1) managed its lone run in the 1st. The run scored on consecutive, 2-out doubles by Abigail Johnston and Dessire Corona. Corona, a junior co-captain, batted 2-for-2 on a pair of two-base hits. She holds the early East County lead with three doubles. FOOTHILLS CHRISTIAN 12, JULIAN 2: In a contest moved from the Cuyamaca Mountains to the “big city,” the Knights scored four times in the 1st, then three more in the 2nd to quickly take care of the Eagles. Half of the runs were unearned due to seven Julian errors. Knights pitcher Carissa Wolford struck out 7 and allowed just 3 hits, as both runs allowed were unearned. The leadoff hitter also batted 2-for-2 with a triple and two runs scored. Kaylee Arroyo and Holli Johnson also each registered a pair of base hits, with Johnson collecting three RBI and stealing a pair of bases. 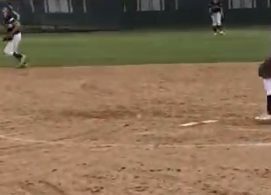 MOUNTAIN EMPIRE 8, CALVIN CHRISTIAN 6: The RedHawks led 7-1 through 4 1/2 innings and went on to win and improve to 2-0. Albritton didn’t pitch the game for High Tech, it was Senior Chelsea Runyon. Recheck your stats.